Many Irish, UK and European citizens have purchased a French Leaseback property over the past 15 years. Enticed by extensive marketing campaigns and the promise of “Guaranteed Rent”, consumers were sold a “dream in the sun”, which has turned into a nightmare. Complicit in this sale process were the vendors, the vendors agents, the conveyancing solicitors and the banks. Across numerous resorts in France, the purchasers of these properties are now left to pick up the pieces as guaranteed rents have failed to materialise, costs of maintenance and upkeep have spiralled out of control and supposed “hands off” 9 or 10 year leases have turned into lifelong commitments to 3rd party resort operators. As a result, many of those impacted have struggled to make the mortgage payments associated with the properties, and some owners, have just had to cease payments altogether due to the deficit between rental income and the expenditure involved. Now one of our number is being challenged in the courts by the same institution that has been reported recently by Moody’s, the ratings agency, as being guilty of reckless lending practices in the past. The bank in question is attempting to pursue this individual to Ireland for an unpaid mortgage. We are now hoping to raise funds to support this individual and to defend a case in an Irish court which may become a test case for many others. We want to stand united with this victim of this debacle and support him to mount a defence to the charges of the bank. The funds will be used totally to fund legal expenses. With this support we can seek to set a precedent in the Irish courts which will hopefully assist in the future in defending any action by the banks involved in pursuing such debts. There are over 1,700 owners who have signed the petition on Change.Org…. About the fund raising: The treasurers of this fund raising effort are Mr. Noel Cocoman, Dublin, and Mr. Enda Eiffe, Co. Meath. 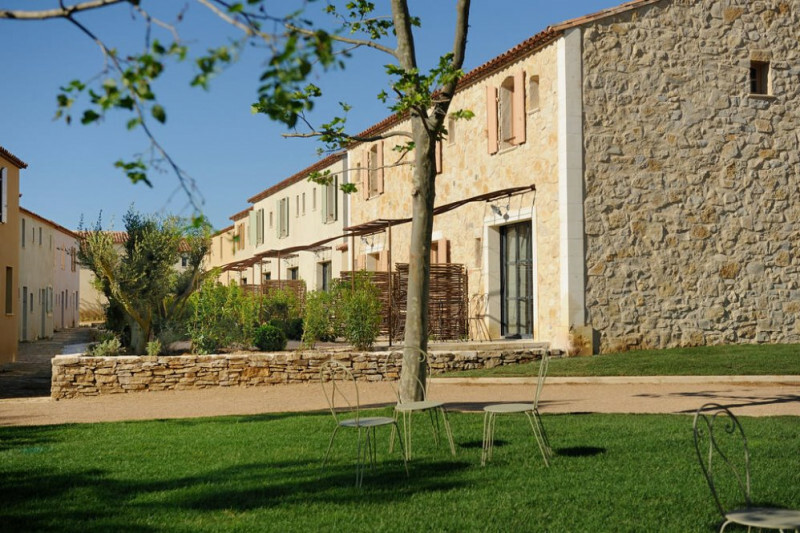 Both are involved at a high profile level, working with victims of this scandal, particularly those with properties at the Les Jardins De Saint Benoit Resort near Carcassonne. All funds raised will be used in the support of mounting this legal defence. There will be full disclosure on the use of any funds raised. The individual involved will be represented by solicitor Mr. Eugene Carley at Carley & Associates Solicitors, Dublin. Should funds be raised and not utilised, contributors will be advised and an agreement reached on rebates etc. Thanks to all who have contributed to date. The objective was to defend any owner in a test case in an Irish Court and we funded the first defence in an action taken by Credit Immobilier in Feb 2018 against an Irish couple and expected them to pursue a European Enforcement Order (EEO) but to date there is no further developments. We are active politically and asked our MEP, Brian Hayes to arrange a meeting in Brussels with the EU Commissioner for Consumer Affairs, Marie-Paule Benassi. We may need to ask for further funds if another legal case is taken. Thanks to all our loyal supporters so far. Strength in numbers ! Hi, please donate €100 to help defend an action taken by “Vulture Funds” as a result of missold French Lease-Back Properties. Today it is me that they are trying to financially bankrupt, tomorrow it will be you and your children’s inheritance that they will try to steal. By donating €100 you may stop them coming for you. But rest assured that if they do that I will contribute to your legal defence fund. Best wishes, Pat Teehan, Dublin.